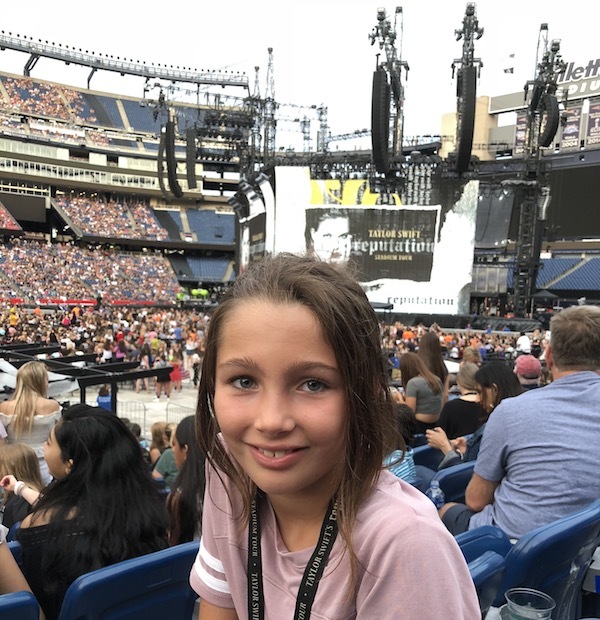 The alliterated alternate title for this post could be: Tickets, Tools, and Taylor Swift — One Father’s Afternoon in Automated Customer Experience Purgatory. Subtitle: a small case study of anti-patterns for customer experience bots and automation. We bought tickets online months in advance, through the official ticket provider — let’s call them Ticketmuster — to make sure we had good seats. And, blimey, did they cost a fortune. So I was financially invested in this evening of entertainment with pretty high expectations. But the real investment was emotional. My daughter was exhilirated about going to her first concert, and we were talking about it for weeks leading up to it. From everything we’d heard, the show itself was a spectacular production of sound, lights, dancers, fireworks, synchronized IoT wristbands, flying chariots. And Taylor Swift, of course. So come the Saturday morning of the concert, we were at peak pre-teen anticipation. The afternoon of the show, I decided to bring up our tickets on my mobile phone. I’d been receiving emails from Ticketmuster for months that included calls-to-action to “View Tickets,” so I assumed that would be easy enough to do. When I actually clicked through to my account, navigated to the concert listed in my account, and went to view my tickets, I received an error-like message saying that these tickets had been sent in the mail and weren’t available online. A little wave of panic. I didn’t remember receiving any tickets in the mail. After 15 minutes of frantically checking all the possible places where we put important mail and finding nothing, I decided to call Ticketmuster customer support. This must happen all the time, I told myself. They could tap away on their computer and send me the tickets on my phone, as clearly all their emails suggested was possible. I found their customer service number — it took some hunting — and called them. Dialed three more times. Busy. Busy. Busy. At this point, I’m seriously considering the possibility that we might not be going to the concert that night. Not. A. Pleasant. Thought. What should I do? “Whew. This will be easy,” I think. Five minutes later, number 49. Another five minutes, number 45. I picture two overworked customer service reps, flooded with incoming chats, typing as fast as they can. I feel sorry for them, but a little annoyed that Ticketmuster clearly didn’t staff their chat center with enough people to handle demand. Doing the math, I realize it’s going to be at least half an hour before I actually get to chat in the online chat. So I try their phone number again. And it rings! And it gets picked up. By… an automated voice system. Voicebots. The precursor to chatbots. We’ve been framing the cost-efficiency of automation as a “feature” for customers to self-service themselves to bliss for decades. But raise your hand if you’ve ever had your own tale of woe dealing with one of these robotic customer service gatekeepers. Thought so. Ticketmuster’s voicebot asks me to speak my order number. I read it out. Then it asks me, for verification purposes, to enter the last four digits of the credit card I used to purchase the tickets. Funny thing. Remember I bought these tickets months in advance? Well, in the intervening time period, my credit card was compromised in a data breach at a large merchant. As is now common protocol, my bank sent me a new card. I dutifully destroyed the old one and erased it from my memory. When would you ever need an old, invalidated credit card again? “To verify your order, enter the last four digits of the credit card used for this purchase,” the voicebot prompted me again. I look over at the clock and my daughter hovering anxiously nearby. I’m number 37 in the chatbot queue. So I sit and wait. What else am I going to do? While I’m waiting, an idea occurs to me, and I search my email for old receipts that might have the last four digits of my former credit card. Found one! I try calling back on the phone, but the line is busy again. Arrrghh. Forget the phone. I’m number 18 in the chatbot queue. Salvation is in sight. I verify my order number. And my address. Elias doesn’t ask me for the last four digits of my credit card, which should probably worry me. A couple of long minutes go by while I wait for a response. I had no idea that our tickets were VIP. It wasn’t like we had backstage passes. I guess it was because they weren’t in the nosebleed section. But if they were VIP, couldn’t I get a little VIP service here and now? Seriously? I assume that’s part of a canned script the rep was required to type. Or a bot automatically injected it. I can imagine someone programming a conversation template far away, completely disconnected from an actual, real customer in distress, thinking that was the appropriate sign off for any occasion. But not what someone with empathy and freewill would say in those circumstances. I hit the upper-right “X” icon to close the chat window. I dial the “VIP” phone number. It rings. And gets picked up. Another voicebot assures me that my call is very important and puts me on hold for the next available representative. Musak from the Milquetoast Orchestra plays. Interrupted 30 seconds later by the same message: the next available representative will be with me. It’s an infinite loop: Musak for 30 seconds. “Next available rep.” Musak for 30 seconds. “Next available rep.” No wait time. No queue number. Just the loop, looping. As a company that sells tickets to the hottest concerts, I find myself wondering why they couldn’t have better music accompanying my endless stay in purgatory. Over 20 minutes go by. If we were going to make it to the show, we’d have to leave soon. And then someone comes on the line! My heart races faster. I quickly explain the situation. She asks for my order number. And then for the last four digits of my credit card, which I’ve now proudly recovered from an old receipt. That giant breath of relief catches in my throat. I explain that, well, I don’t have that card anymore, because my bank issued me a new one, because of some other merchant’s data breach, which happens all the time to people, so surely there’s some other means of verification I can provide, right? Right? Try. See if. I’m mentally calculating the odds of convincing the person at the box office, running through different ways I might be able to authenticate my purchase. My new credit card? Bank statement? Printed receipt? Both my driver’s license and my passport as double ID? I realize I have no idea what the odds are with any of them. I resist the urge to make a snarky reply. “No, thank you.” At least she doesn’t cheerfully tell me to have a great day. It’s been two hours since I went down this rabbit hole. It’s time to leave, as we’ve got an hour-long car ride ahead of us, with uncertainty hanging over the entire trip. He hunts around for a couple of minutes. Doesn’t find anything. I cringe. “What’s your order number?” Luckily, that’s one of the ten pieces of documentation I’d carried with me. I give him the number. He goes to the back to tap away on a terminal, while I lean in and hold my breath. He returns with my driver’s license and three tickets and passes them through the window. It’s possibly one of the most euphoric moments of my life. “Thank you!” I exclaim in joy. I take the tickets and hastily leave before any question about a credit card comes up. I don’t know if he screwed up by not asking for my card. Maybe he used his best judgment that with my ID, order number, and my wife and daughter standing next to me that I was probably not scamming my way into a Taylor Swift concert. Either way, I’d nominate him for employee of the year. We enter the arena. And from that moment on, it’s a fantastic evening. A truly stunning show. A couple of weeks later, I found myself reflecting on this experience and decided to write this post. It wasn’t a horror story. In the end, Ticketmuster resolved the problem, and we enjoyed a great show. But, man, what a stressful afternoon that was. And bots and automation didn’t help. They only added to my frustration. If you’re going to set expectations in email (“View Tickets”), fulfill them. In your voice automation system, please, let distressed callers reach an operator. Make sure your phone teams and chatbot/live chat teams are staffed for demand. Connect your systems so that whatever channel a customer reaches you on — phone, live chat — you can apply the same levers for resolving their problem. Less templated scripts (“have a great day!”), more human empathy. Customer experience flows should cover predictable exceptions (e.g., canceled card). Labels (“VIP”) don’t matter. Words don’t matter (“your call is very important to us” on hold for the next 20 minutes). What you do matters. This is the difference between superficial “marketing” and real marketing that builds brand loyalty in the age of the customer. My problem could have been resolved over the chatbot, if Elias had the power to do what the “VIP” rep ultimately did — or he had been able to transfer the chat seamlessly to someone who had that authority. The technology certainly makes it possible, and it would have been a happy example of how easy chatbots and live chat could make a customer experience. But when your internal divisions and exception-blind processes become the blueprint for my customer experience, it’s not organizational capital. It’s organizational debt. Martech can’t automagically fix that. I know your story is about decent customer support and that this level of non-support is everywhere. But it is also a story about a terrible company (Ticketmaster) that legally scalps tickets and damages the entertainment industry. Honestly, what value does TM provide? You might think it would be customer support/satisfaction. Not. Companies that have monopoly-like power in certain markets can get away with bad customer experience, because, hey, what choice does the consumer have? But it builds resentment. And when an opportunity arises to abandon them through some disruptive alternative, the scales can tip quickly. Scott, this article was so well written it got me actually invested in somebody attending a Taylor Swift concert! You know, my wife and I had made quite a few Taylor Swift jokes between us before the concert. But I have to admit, that was one of the most amazing productions and performances I’ve ever seen. Scott, I think everyone can identify with your pain…and I’ve been through the TicketMaster grill myself enough times to find ways to avoid purchasing tickets through them. If you want a fun bot experience, register at the Cosmopolitan in Vegas. The internal team there created a sassy bot that serves up great service, good tips, and a fun experience. Wow, that’s a high bar! 😉 Seriously though, thanks for the kind comment. Glad you liked it.